It is times like these that I am so thankful I started organizing these tours because it helped me “meet” Amy Metz and be introduced to the very unique people of Goose Pimple Junction! I absolutely loved everything about this book! Tess Tremaine is starting over after a terrible marriage. Her son has his life in Birmingham and she is settling in to her new home in Goose Pimple Junction. 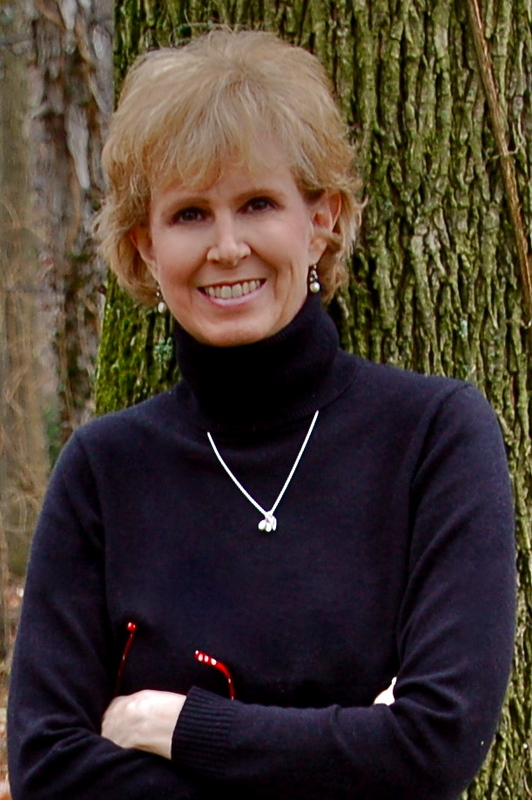 With a children’s book already published she decides to try her hand at a romance novel. To fill her time she lands a part-time job at A Blue Million Books and she is also refreshing the home she has purchased. It just so happens that her new home was the bookstore owner’s family home. The mystery begins when she discovers something interesting in a floor register. They story goes back and forth from 1932 when a bank was robbed to present day. Tess’ arrival in Goose Pimple has spurred a bunch of things in motion. The author does the changing points of view wonderfully. Metz has filled her story with sweet tea, southern charm and the language that Tess finds trouble grasping at first but she catches on PDQ. 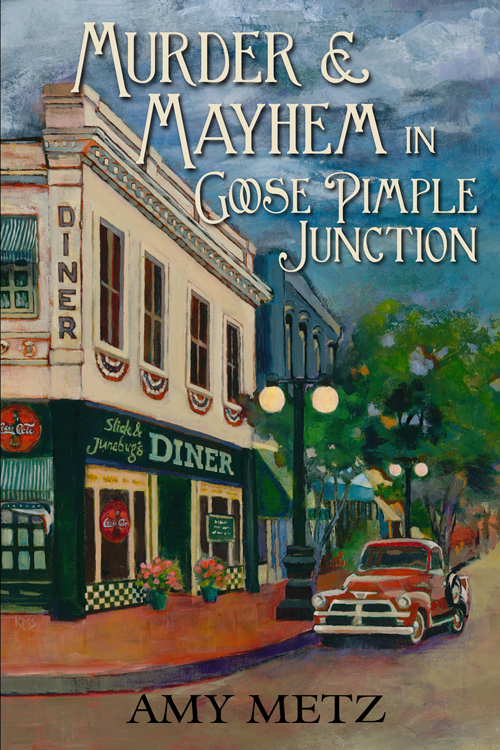 The residents of Goose Pimple Junction are what we cozy readers call “quirky” and most have hearts as big as all outdoors. Bookstore owner Lou is a true gem and she loves people. She has her opinions which she is not afraid to share and sometimes she shares them loudly and at other times under her breathe so just the folks nearby can hear. Jack is a mystery author and he seems to click with Tess from their first “Howdy”, but Tess was just not ready to have another “cheatin’ man” in her life and in her frame of mind most men are cheaters. But she does start to warm up to him after a while. The mystery was well researched and well plotted. I was surprised to learn it is based on an a real unsolved mystery the author had grown up hearing about. There were plenty of suspects rolling around in my mind. Heck I even suspected Jack! This story was a pure joy to read. I was sorry to see it end. The author gives us a small helping of the next book in the series, Heroes & Hooligans in Goose Pimple Junction. I went right to Amazon to try to purchased it. It is not out yet but the author says it will be soon. I can’t wait! Amy Metz is a former first grade teacher and the mother of two grown sons. When not actively engaged in writing, enjoying her family, or surfing Facebook or Pinterest, Amy can usually be found with a mixing spoon, camera, or book in one hand and a glass of sweet tea in the other. Amy lives in Louisville, Kentucky. This looks like a fun read. Lots of quirky names. After this glowing review, gotta add to my TBR! I’ll probably get some lessons in Southern speak in this book—will be fun! I’m getting “good pimples” just thinking about reading the new series. It looks like a fun book. I hope you enjoy it. I sure did!! Thank you so much for the wonderful review. You made my day! This sounds so fun. The name of the town alone makes me giggle. lol I want to buy a house owned by a former bookstore owner.. Sounds very much like my all time favorite series by Alice Kimberly (Cleo Coyle) so I’m sure I will love it. YOUR NEW SERIES SOUNDS GREAT! GOOD LUCK WITH YOUR BOOK AND THANKS FOR THE GIVEAWAY! I understand Tess needing to learn Southern speak, I had to do the same, it’s fun learning the differences. This book sounds great, thanks for the chance to win. Sounds like a really fun read. I’m glad I had already swallowed the drink I had just taken because I would have spit it all over the screen when reading that quote. Too funny! I love finding new authors and stories to check out! Thanks for the chance to win! I love you your refer to Southern speak as a foreign language. You would think trying to solve a very COLD case would not be as dangerous as a recent crime. It sounds like someone does not want this case to be disturbed and solved. Tackling an old murder and Southern speak at the same time! Sugar, that is a tall order! Can’t wait to read this book. Thanks for the visit and the chance to win!